A set of 24 laminated cards with appealing graphic illustrations of basic musical concepts such as starting and stopping, low and high, slower and faster, louder and quieter. Use as flashcards, as an alternative to verbal instructions or to reinforce musical understanding. 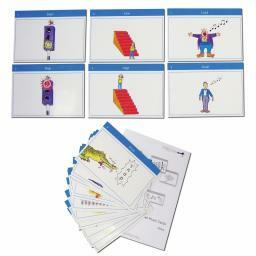 Suitable for Foundation Stage and Key Stage 1.